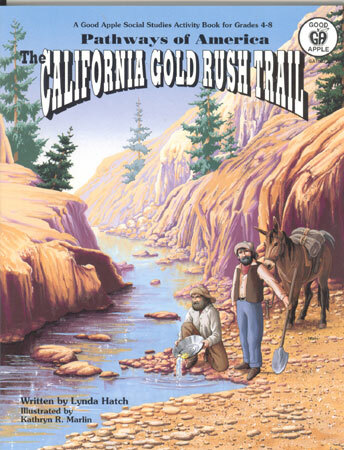 I find it all fascinating; especially the part where the Gold Rush was highly overrated and the only people who didn’t either die or go broke were the ones who owned all the shops. Now that I have showered off the poison oak and river water, I reflect on my last couple of days — spent with a group of beautiful, outrageous 4th graders — not so different than myself, at that age. They are all kinds of kids. All of them. All their quirks and little habits and brilliant smiles. And I watched them. And I was Tiger Lily, their Native American guide (in full costume mind you) who bribed them with ” medicine herbs” — AKA Sweet Tarts — to help them be first to the showers, or in their bunks, or cleaning the bunkhouse “where is my sock??? hairbrush?? scrunchee??? — it was RIGHT here! !” And they were amazing. And on Monday night the kids had a hoe down and a fiddler, a mandolin player and a banjo player who taught them about the instruments and then they had a square dance. There they were — outdoors in a hay filled little arena these 44 kids were just dancing. And happy and dancing. Boys and girls and boys and boys and there was nothing that wasn’t pure fun for them. They were laughing and smiling and giggling and running and jumping. And just completely there. Not cool. Not shy. Not embarrassed or self-conscious. Not even a little bit. They were 10-year-old kids who are growing up safely together in a little microcosm of the world. They were me. They were every grown up. Every one of us was right there. And in the next couple of years and beyond, they will get cooler and more nervous and some will fall in love with others and some will drift away and lose each other. And then maybe find each other again. But they will grow up and maybe become very important, or not, or in their own heads, maybe some of them will never have that pure fun again — I sure hope that’s not true. But sometimes we forget that being a grown up isn’t really necessarily all that it may have been cracked up to be. I sure think we could all use a lot more fun. And I stood there and watched from the side — and sobbed unabashedly. At how beautiful they were. And how happy they were. I was simply flooded with feelings of how, even though these kids may have their own hard little private lives, in that moment, they were just smiling and happy. It was just a flooding. A flooding of ” Wow — I am witnessing one HUGE moment in time, and one that I actually had as a child, myself. ” Innocence in just being purely joyful. Because my own Alexander and every single one of these goofy, gangly legged, kids, along with myself and every other, far too serious adult, is really just the kid in that little square dance scene. And I don’t EVER want to not be. What I was given by being able to witness this beautiful peace of innocence was really a privilege and an honor.